Duke Energy has launched a free service to help remove the mystery and frustration in finding a home improvement contractor in most of the company’s service territory. Find It Duke connects consumers with a managed network of certified professionals and a website that offers tips and resources. The program is available in Indiana, North Carolina, South Carolina and Ohio. Participating contractors are required to complete a quality control curriculum developed by Duke Energy specialists. All contractors are insured, background checked and performance reviewed and must meet performance requirements to remain in the network. Duke Energy will routinely inspect the work of contractors to ensure their work is above industry standards. The service is free where offered. Contractors in the network offer seasonal installation promotions, available to anyone. Plus, Duke Energy customers can earn up to $1,600 in rebates by upgrading their home to energy-efficient products. 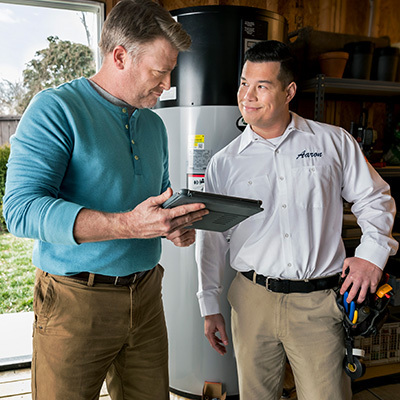 On finditduke.com, customers can track their rebate, find contractors in their area, access a project cost estimator, read tips on how to make their home more comfortable and learn about other Duke Energy products and discounts. Contractors include heating and air conditioning, plumbing, electrical, insulation and solar. When you search for a contractor, you’ll get an immediate recommendation. Meet “Duke” and watch the TV commercial.